Villosa or Late Lilac is a dense tall shrub with stout ascending branches. This species blooms later than the common lilac. Lavender-pinkish flowers fade to gray-white. This species does not sucker. Water: Less drought tolerant than common lilac. Performed well in drought of late 1980's. Does not withstand ponding. Conservation/windbreaks: Medium to tall shrub for farmstead windbreaks and highway beautification. Wildlife: Little value for fruit or browse may be of value for nesting by songbirds. Agroforestry Products: Floral design, semi-fragrant cut flowers. Pests: Potential disease pests include several types of leaf spots and blights; insect pests include lilac borer, caterpillars, scales and leaf miners. 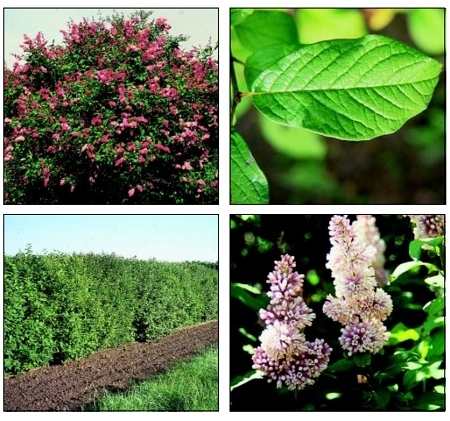 Extracts from Syringa species are toxic to various insect pests.